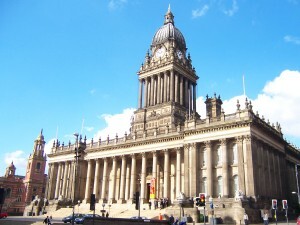 Once again, Anthony, Brian and Greg headed to Leeds Film’s Fanomenom Anime Day and saw 6 animated films in 10 hours. Garden of Words, HAL, Patema Inverted, Steins;Gate, Evangelion 3.0 and Akira were on the bill and you will hear what we thought about them on this podcast. PLUS: Anthony and Greg went to the Day of the Dead so they will also tell you about a whole pile of horror movies too. Brian kills off a regular feature and Licensed by Royalty is the Weekly Retro Recap. During your discussion of Evangelion 3.0 you give a basic outline of the premise. Surprisingly this premise, is itself, a massive spoiler as it’s not something that anyone going into the film would be aware of and it’s meant to come as something of a shock to the audience. It’s obviously pretty hard to discuss the film without bringing even something that basic up and as someone listening to a podcast discussing the movie should expect to hear that kind of thing. It’s not something that bothers me but it might be something that might bother others because the internet really enjoys overreacting when it comes to discussing Evagngelion. 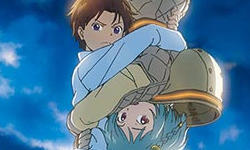 A great podcast as always, I was especially exited to hear about Patema Inverted. Pretty sure any big fan of Evangelion will have seen the movie by now. And if they haven’t, they’ve far bigger things to worry about than us “spoiling” the movie. Like how bad the movie is. Oh I’m sure they have, and for those who haven’t, you’re really doing them a favor anyway.